It was a dreary winter day in San Francisco when Walt Schneebeli gripped the familiar railing leading to the bay’s shore at the Dolphin Club. He looked out over the docks near Aquatic Park Cove as a sporadic rain fell. He adjusted his Hau wood goggles from the Hawaiian islands, the same pair he’s worn since he first joined one of the city's oldest swimming clubs. 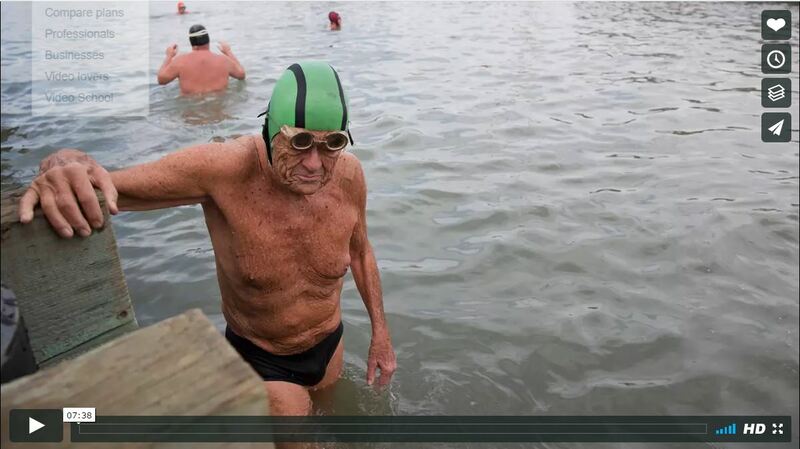 The goggles, reminiscent of crusty barnacles, are both refined and raggedy, the result of riding the face of a 90-year-old man who has been swimming in these salty, frigid waters for nearly 70 years.